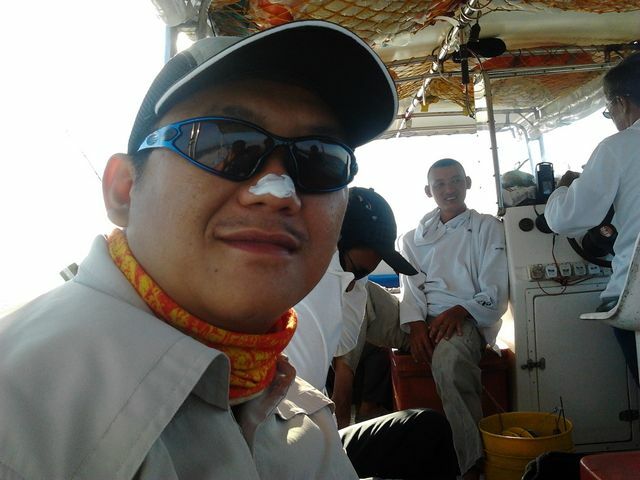 Applying sunblock is a must to prevent yourself from getting skin cancer. 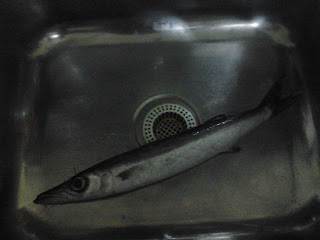 My catfish was given to Amiludin. 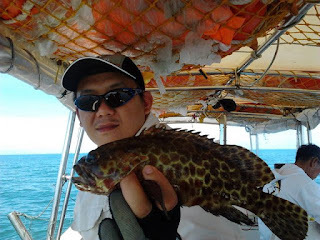 The weather and the current were good today. 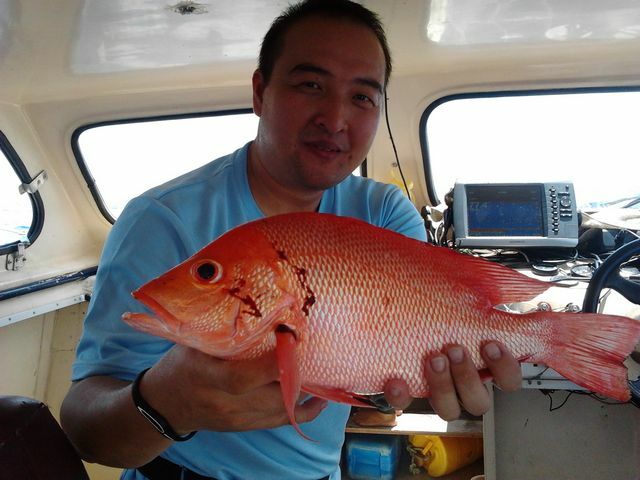 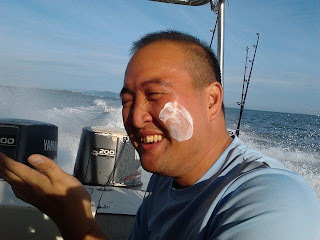 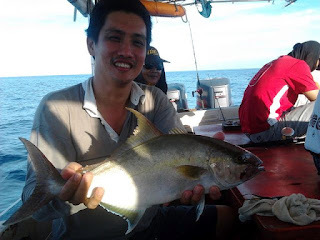 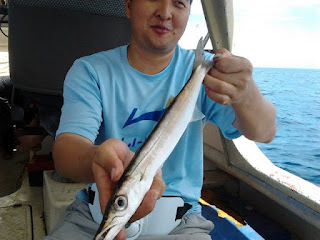 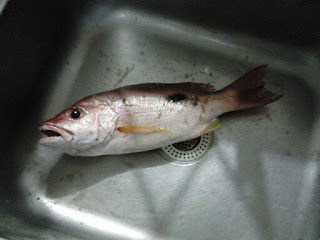 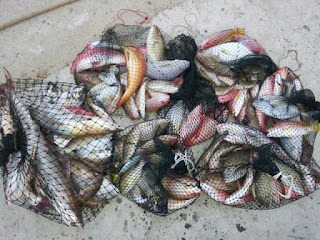 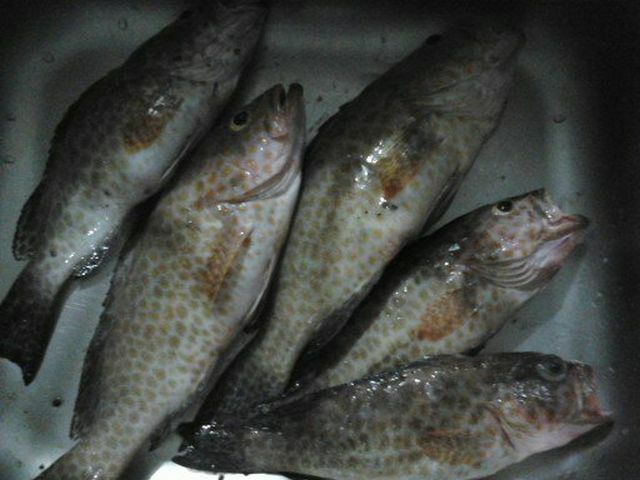 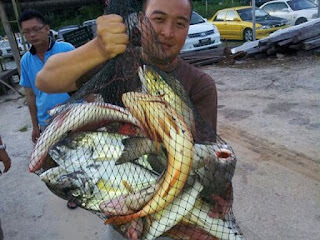 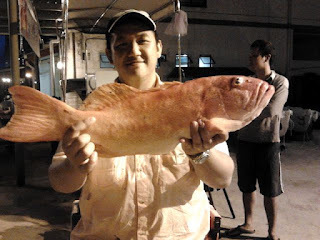 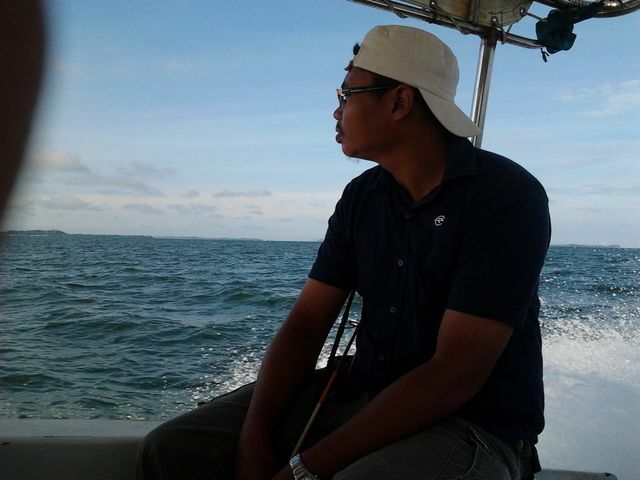 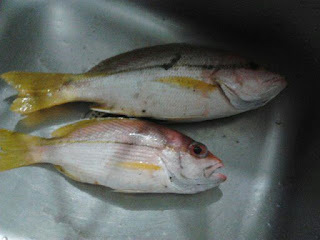 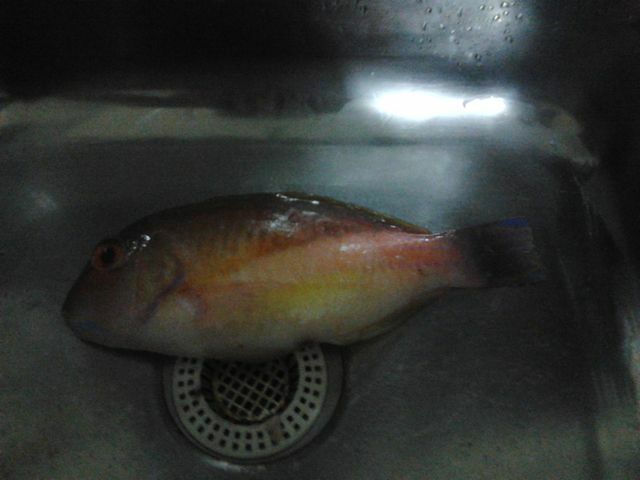 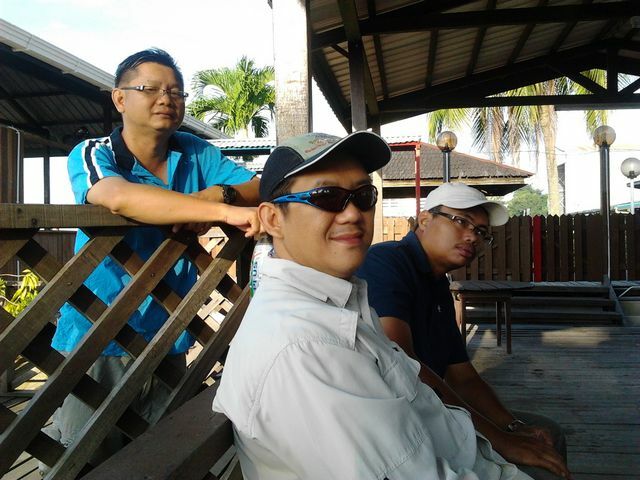 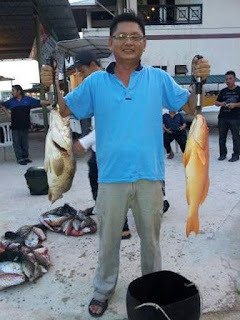 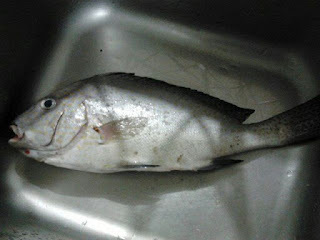 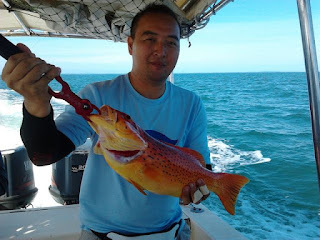 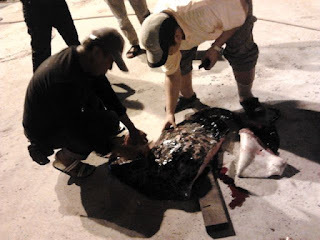 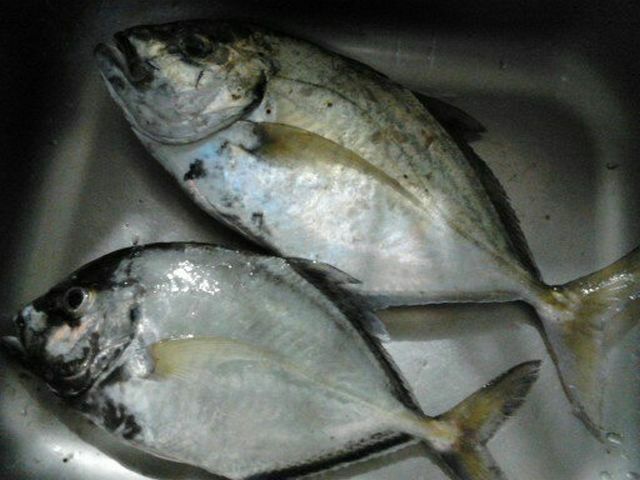 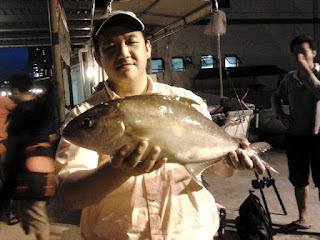 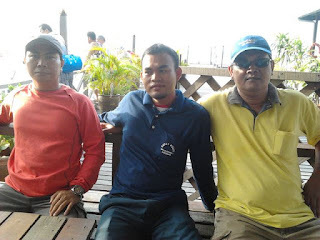 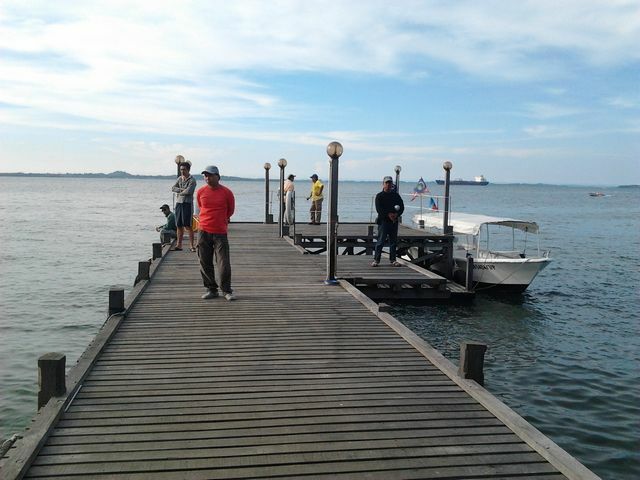 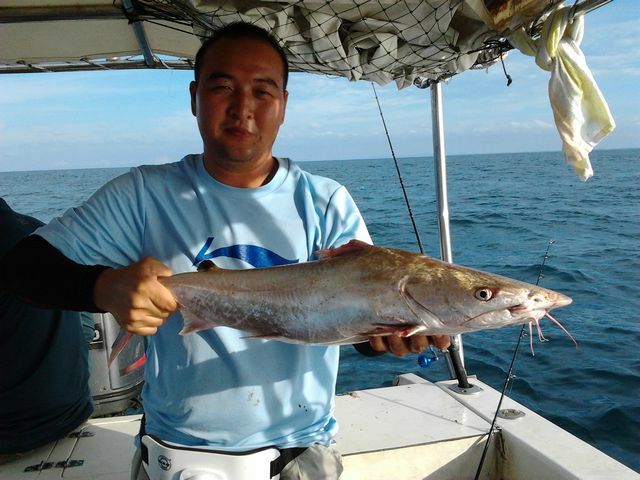 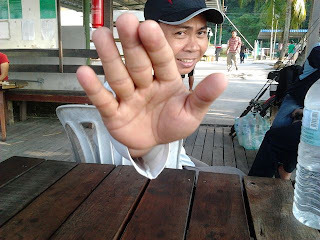 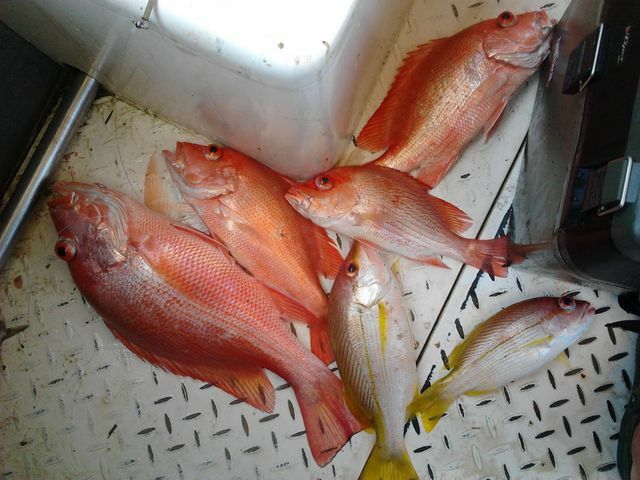 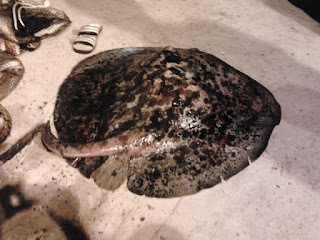 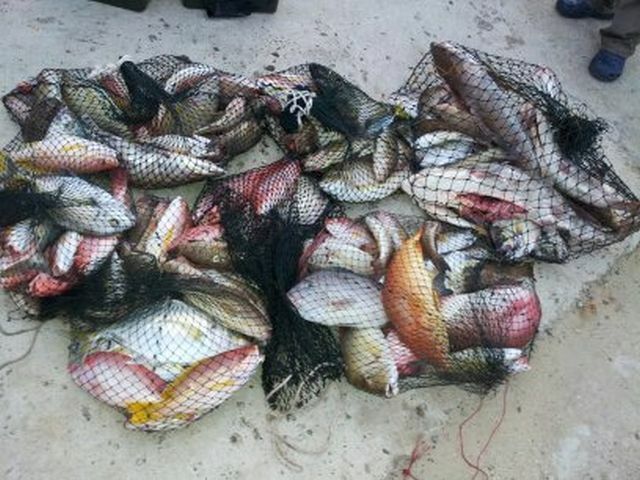 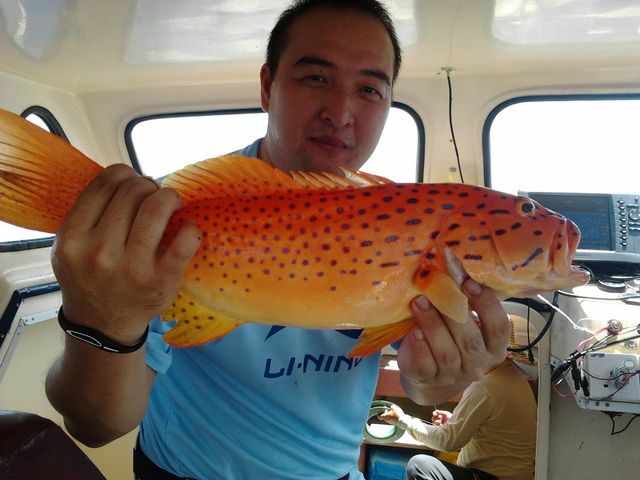 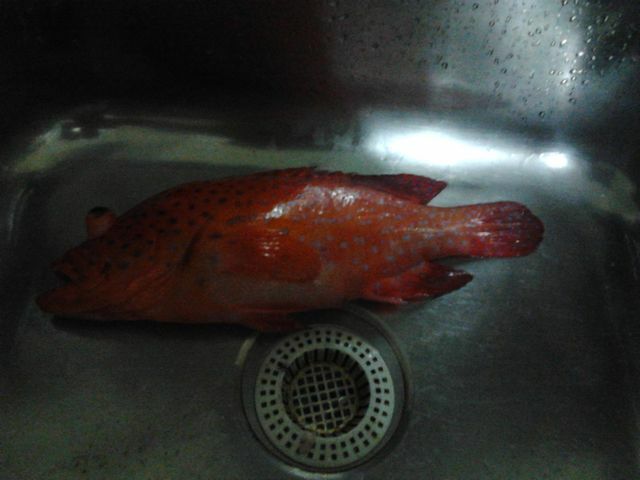 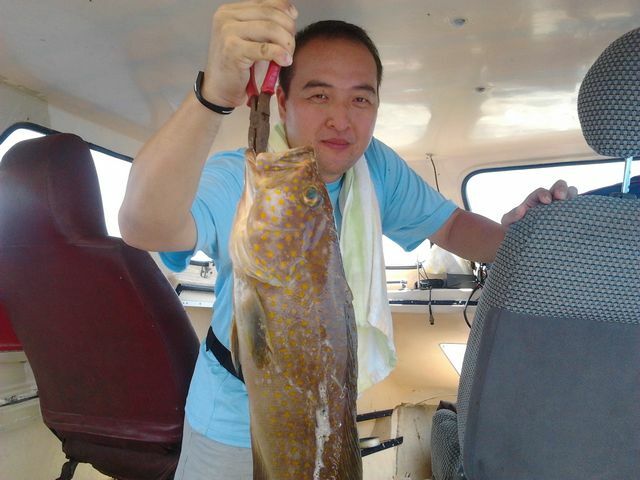 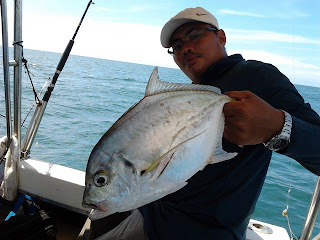 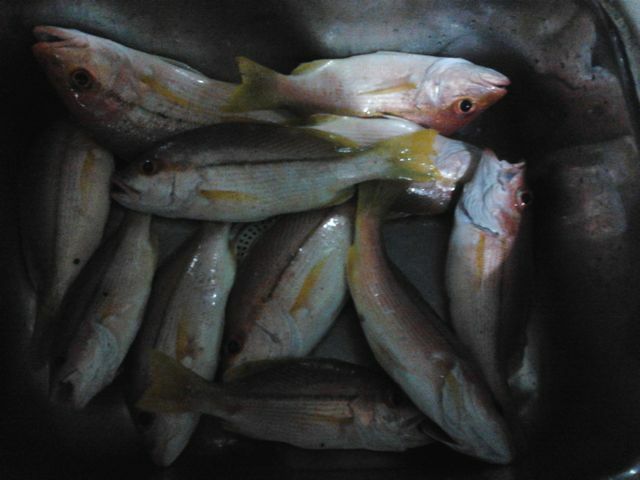 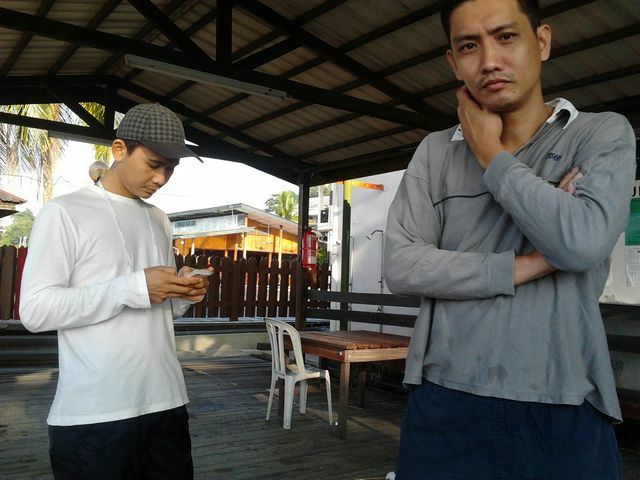 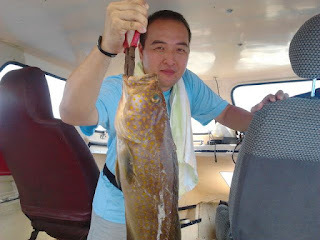 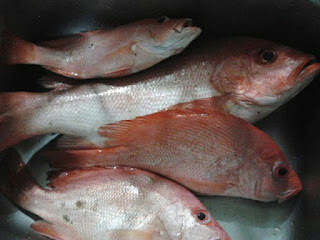 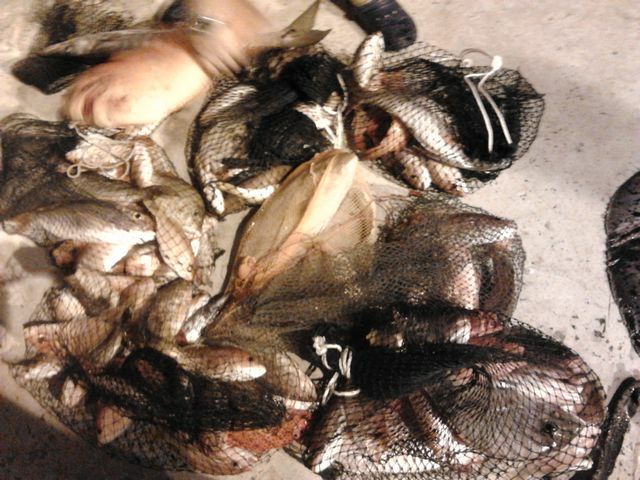 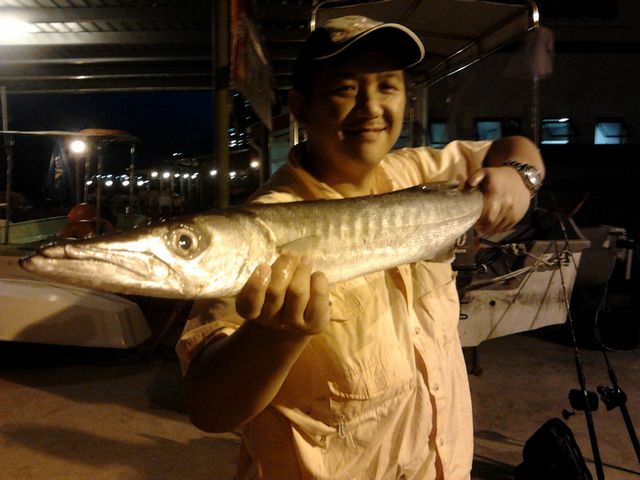 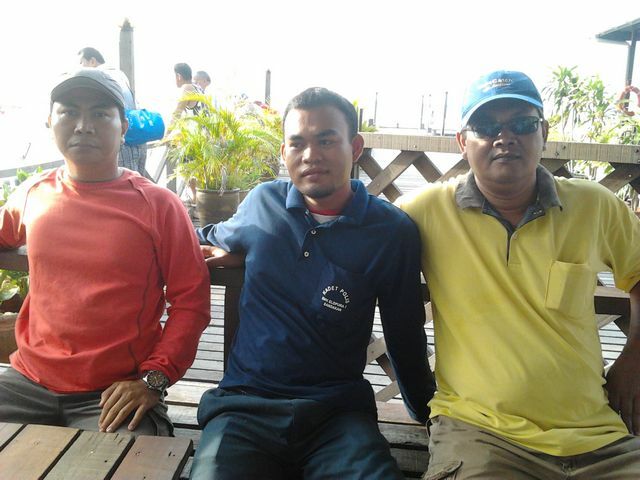 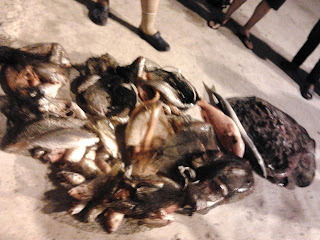 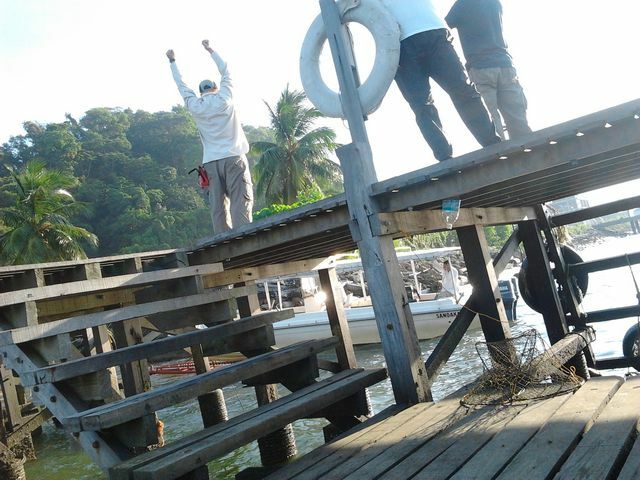 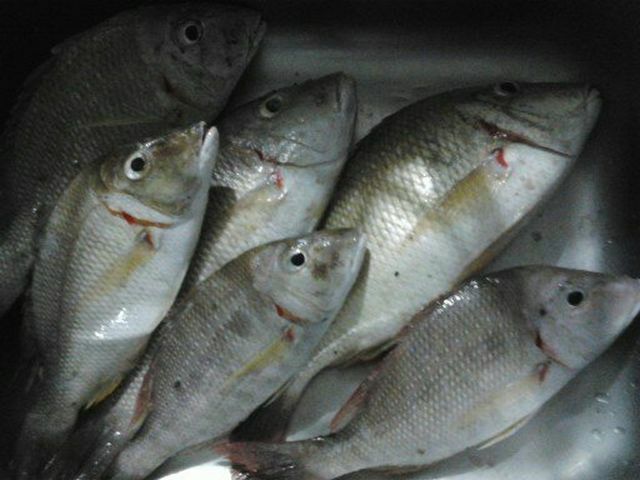 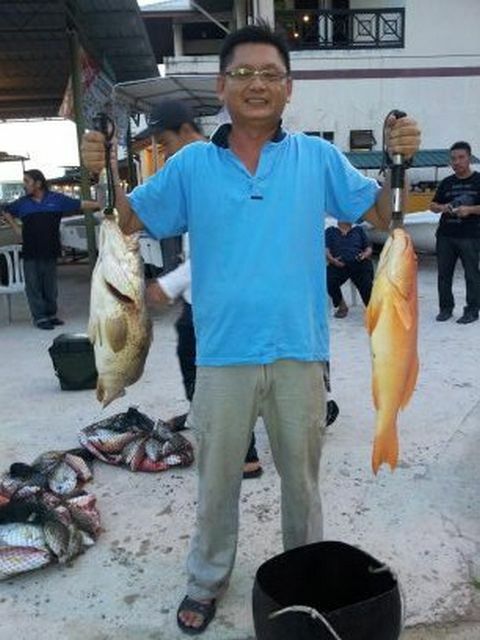 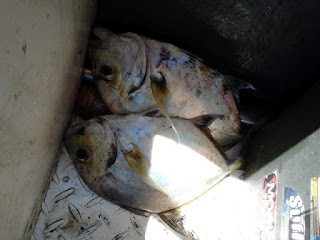 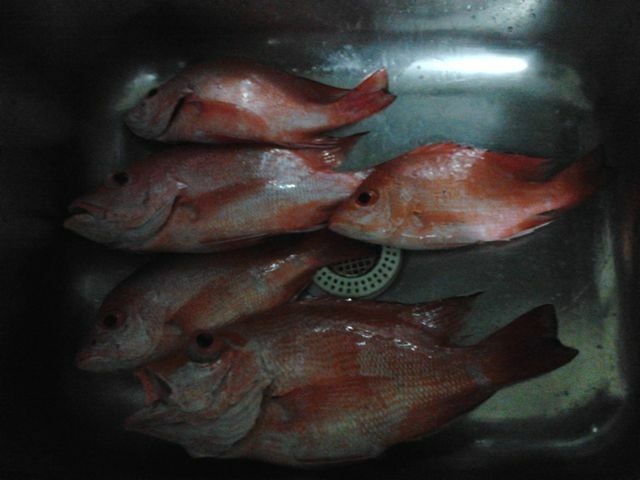 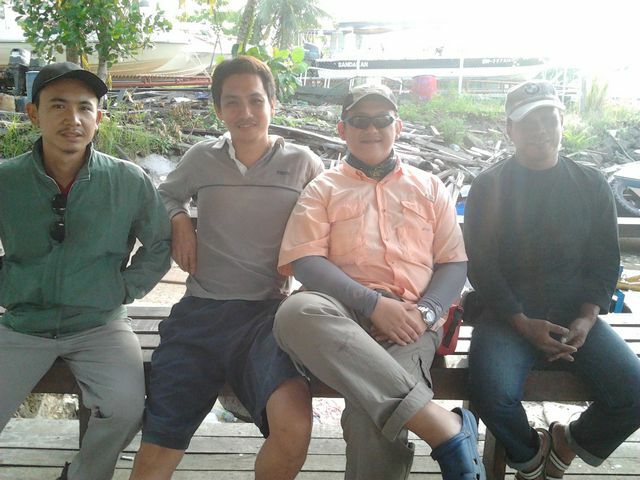 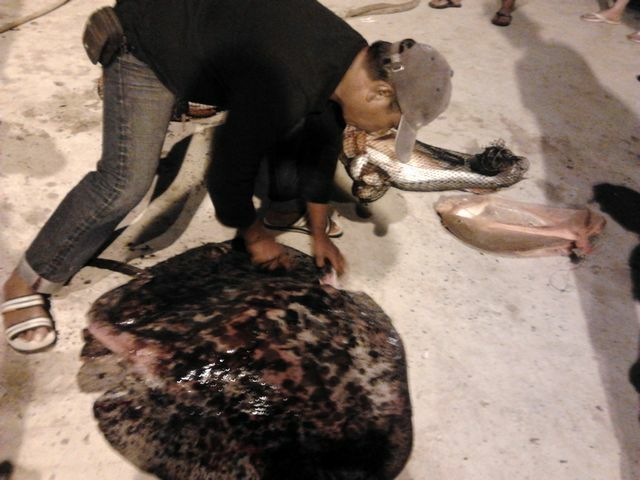 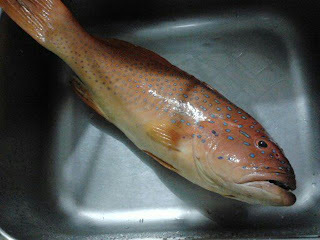 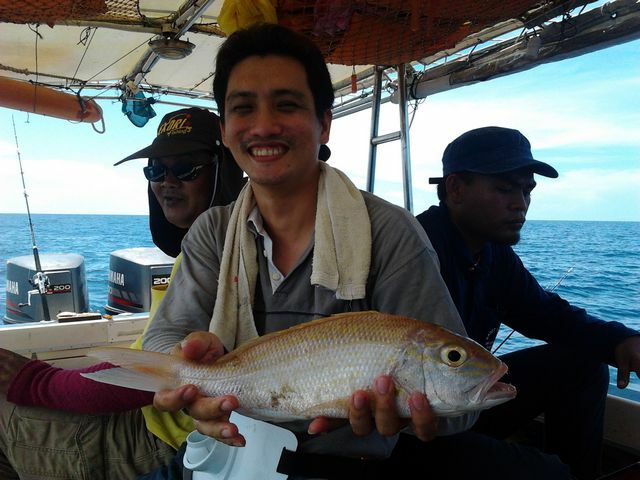 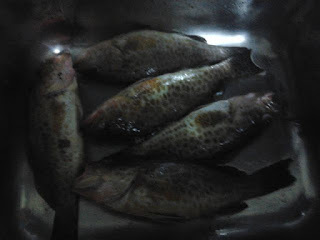 Looking forward for another fishing trip with Ah Ping again soon. 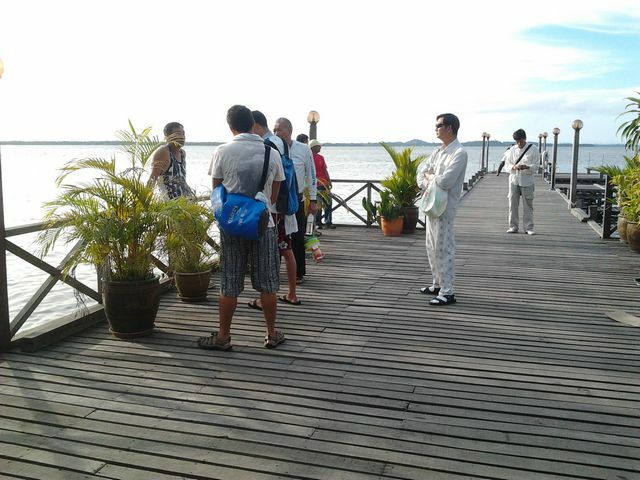 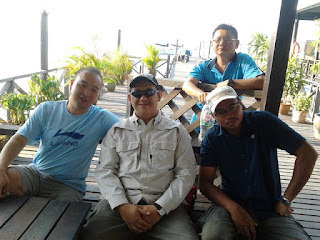 Members of the trip : Myself, Jason, Bob, Bakry, Andimax, Jepp and 2 other friends. 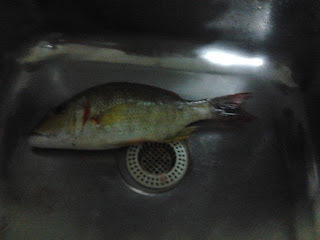 Haven't been fishing for almost 5 months. 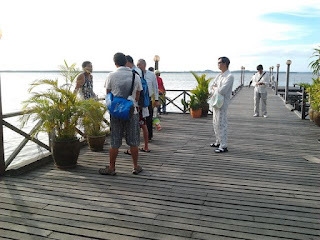 This was my first ever trip in 2012. 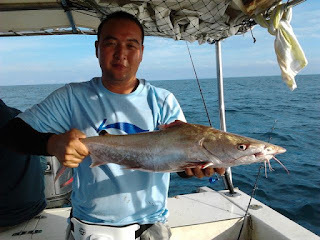 Experienced a lot of tangled line in this trip and I had to sacrifice almost 20m of my 40lbs fluorocarbon line due to 'bird nest'. 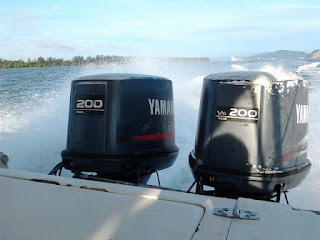 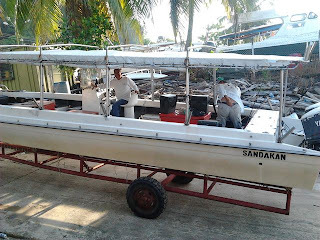 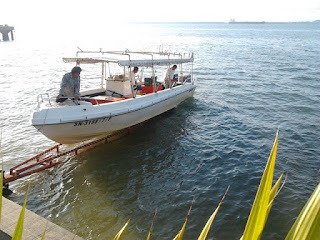 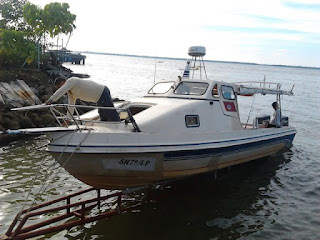 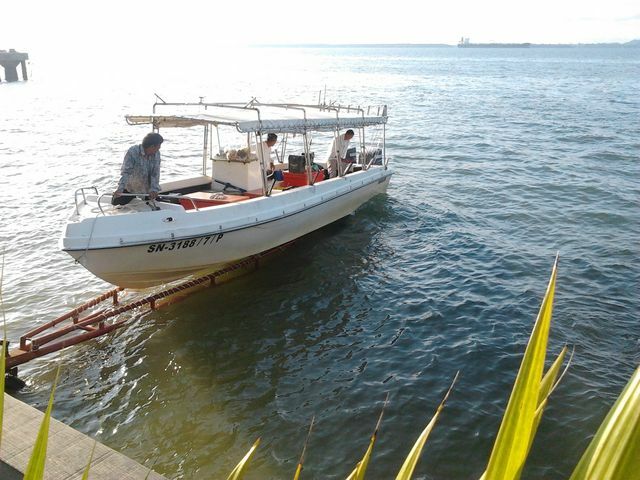 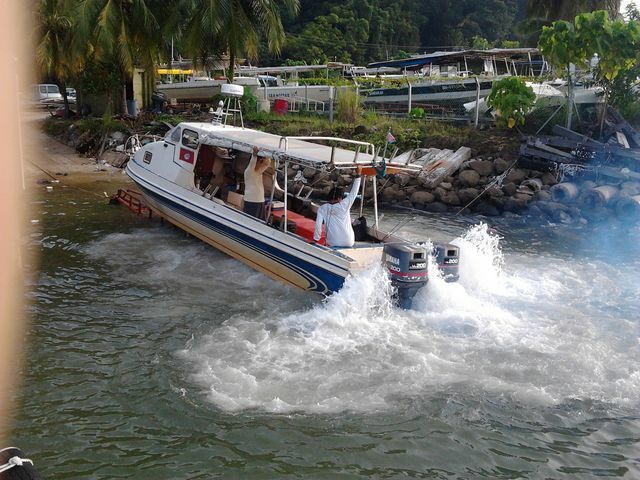 Ah Kong's 200hpX2 speed boat. Some of the highlights of the trip. 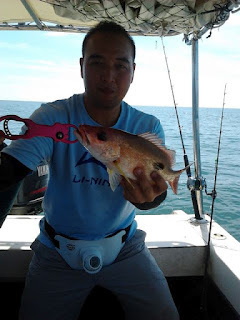 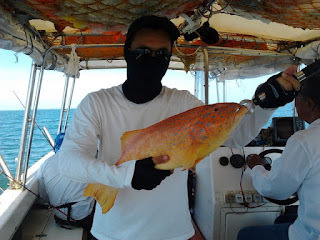 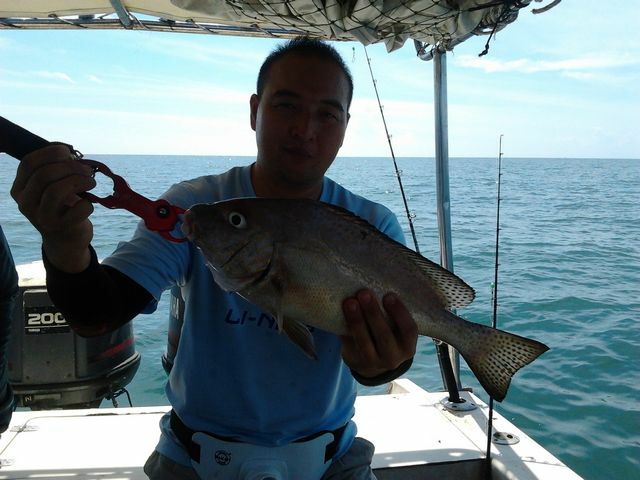 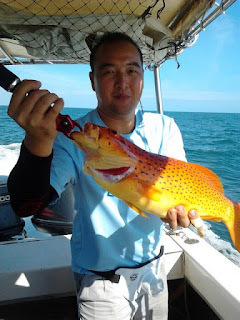 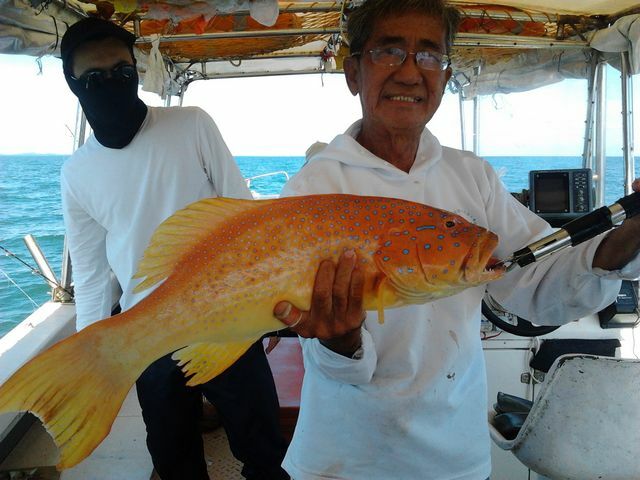 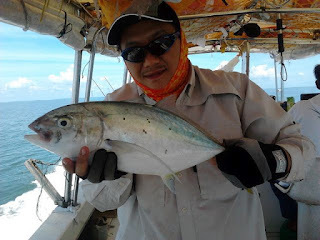 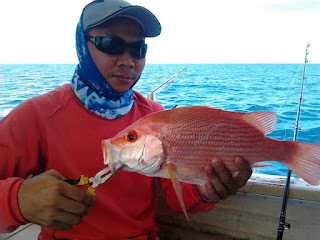 Jepp with his coral trout caught on his '3-eyed apollo'. 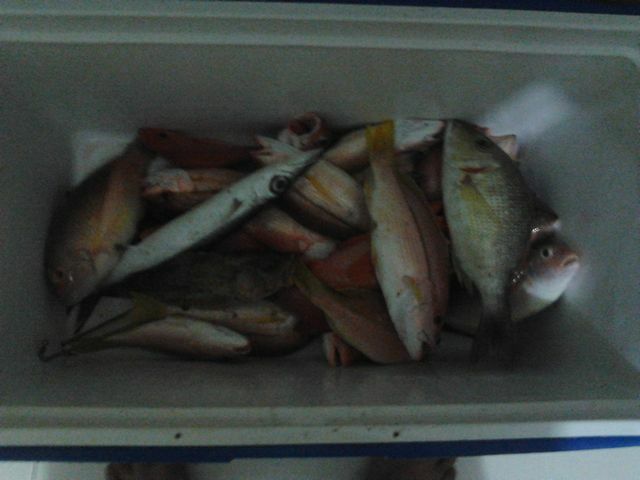 Will surely go to Baguan waters again in the future. 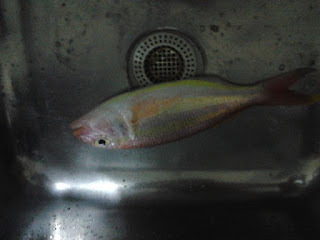 At the mean time, I had to improve my stamina. 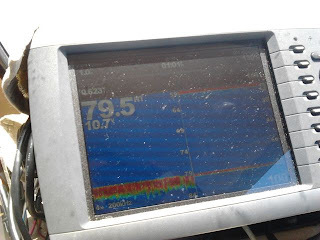 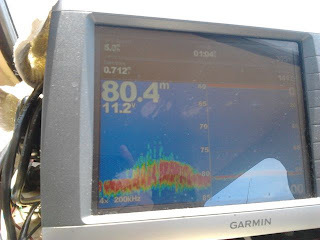 Fishing in the depth of 70-80m was not really that easy.